Either a computer or tablet as the main screen for the Skype call. A tablet or a smartphone to act as the controller and where code can be changed during the Game Jams. Headphones with mic or a headset – this makes a HUGE difference as they can hear us and we can hear them much better! What sort of Internet connection do I need? As our lessons are delivered live by video having a fast internet connection certainly helps. We suggest you have a minimum ADSL. If you are on a slow connection it may take a little while to download the game – hang in there! The most important requirement is that your internet connection is stable. What can you tell me about your Buzzy Coaches? Our Buzzy Coaches are all Game Developers and Educators in the making, they have a genuine love of tutoring and seeing the excitement and pride kids have from publishing designing and their own games. Every Buzzy Coach has a Working with Children Check, goes through extensive screening and training and has personal references as to sound character. Do parents join the lessons? We absolutely love it when parents, grandparents, family pets and any other significant others say hello at the beginning of every Buzzy Games lesson and join us at the end to say goodbye. We do however need to hear clearly and we find it can be a little intimidating for them to see a big group on the other end so we ask parents to stay close by, especially for younger kids but ideally out the picture if possible! How do I know what they are learning? We send a lesson summary each week so you can closely follow the course. We include suggestions of how to keep encouraging kid’s creative thinking and designing their own games within Buzzygames.com.au. One of the best ways to do this is getting them to teach you what they’ve learned. How do I continue after the 4-week Introductory course ? After the Introductory course we have a LevelUp to Co-op Games (4 weeks) course option, or for the more advanced, we also offer an 8-week Mini Game Creator Challenge. Details on the follow-up courses can be found here or contact us for any further information. What coding software do you use? Buzzy Games uses our own software for the game design on the introductory and intermediate level courses. For our more advanced course, we also use professional tools including Unity3D, Adobe Photoshop. Through game design and development, kids learn coding, game design, graphic design, audio editing alongside critical futureproofing social skills including collaboration, problem solving and communication. How to I get access to Buzzy Games once the 4-week course is complete? After the 4-week introductory course, you will be able to select more projects & courses for your child to build on and progress skills. You can also choose to opt subscribe to our online Buzzy Games season pass which enables your child to continue to work on & share their creations. Can I use my Creative Kids Voucher with Buzzy Games? What previous experience do they need? For our Introduction to game design, we assume kids have no previous experience. For our LevelUp course, if under 12 years we require that kids have completed the introductory level and can manage the coding required. For over 12s we permit kids to join providing they have previously been exposed to coding beyond visual coding. Yes, absolutely friends can be on the same team! If one person registers and lets team@buzzygames.com.au know we can arrange your own Buzzy Coach and preferred time. 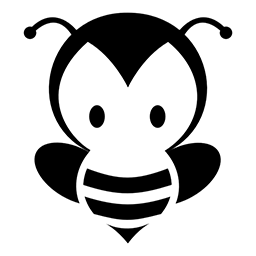 Join a Buzzy Team today!